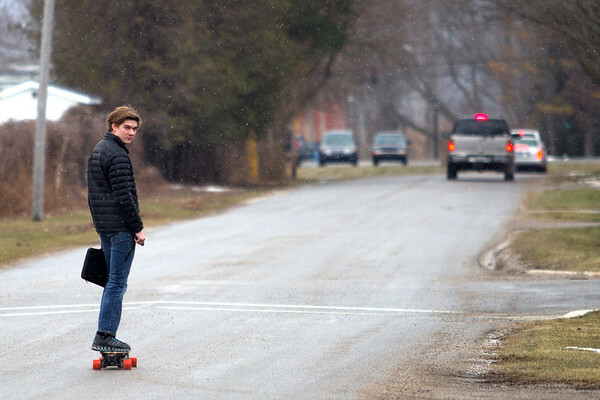 Alex Thayer rides his electric skateboard down the street after leaving school at Frankfort High School on Friday. The Frankfort Police Chief asked city officials to consider a ban of skateboard and other "roller toys" on Main Street. Thayer rides his electric skateboard to and from school and around town.